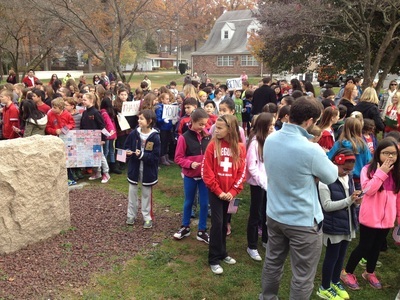 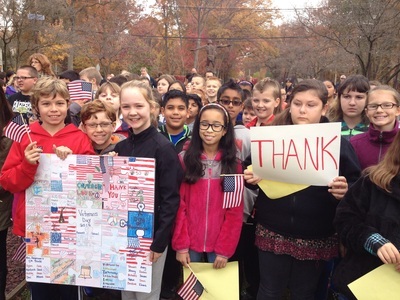 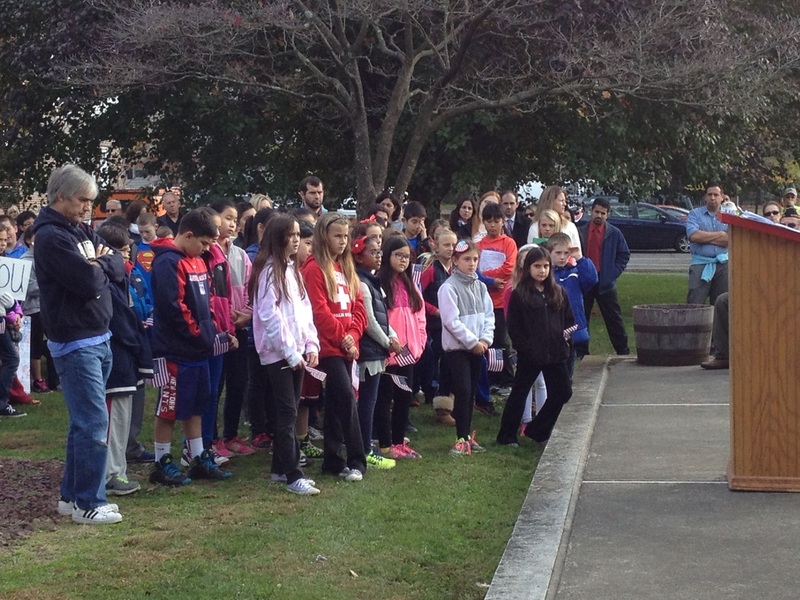 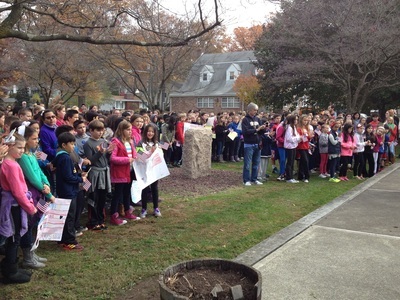 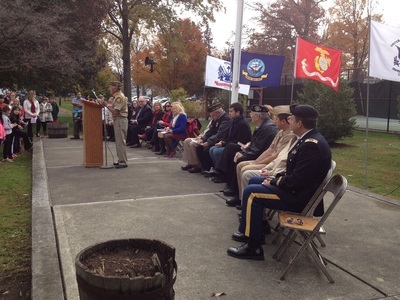 Veteran's Day is day in which the students of River Edge Schools gather at Memorial Park to honor the men and women who selflessly risked their lives in war. 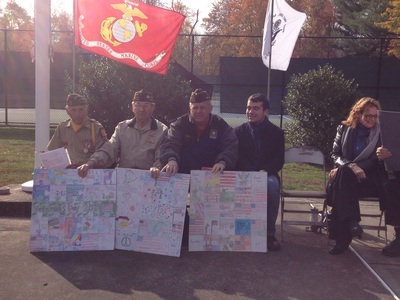 Gifts of gratitude, from the students, were offered to the River Edge Vets in the forms of songs, crafts, poems, and speeches. 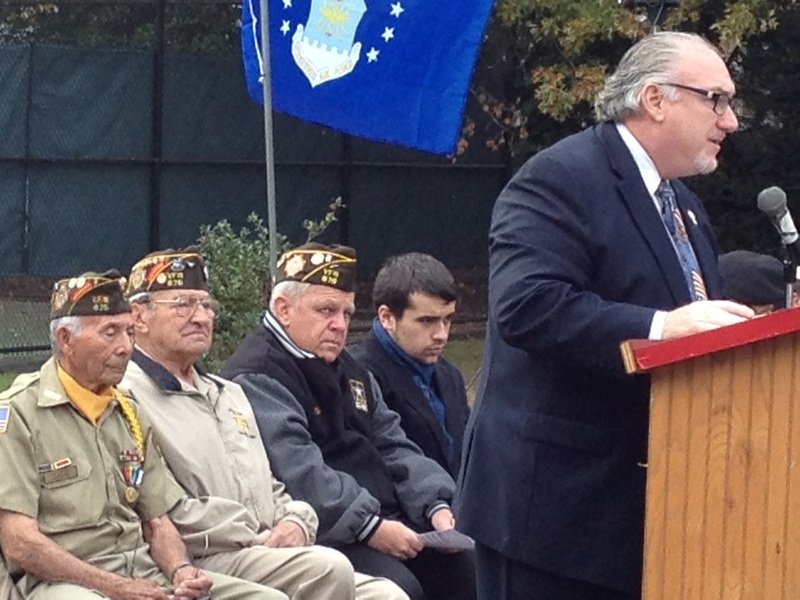 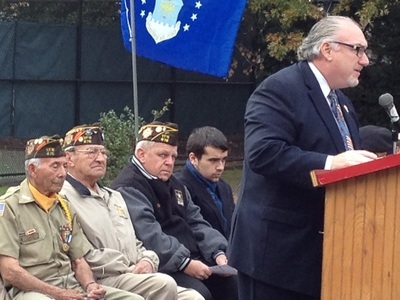 Led by Mr. Joe Maugeri, a Veteran himself, the event was quite memorable for all involved. Captions on the pictures below give more detail to the day. 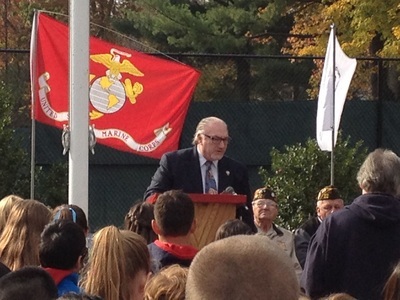 Joe Maugeri joined by Mr. Watkins. Mr. Joe Maugeri beginning the day's events. 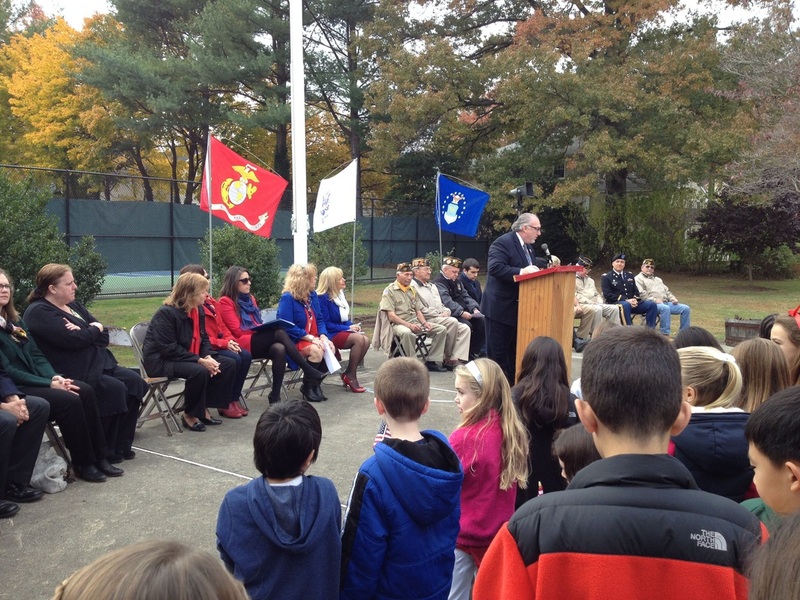 Dr. Ben Dov, Superintendent of Schools is introduced. Veterans, School Administrators, Mayor and council watch on. 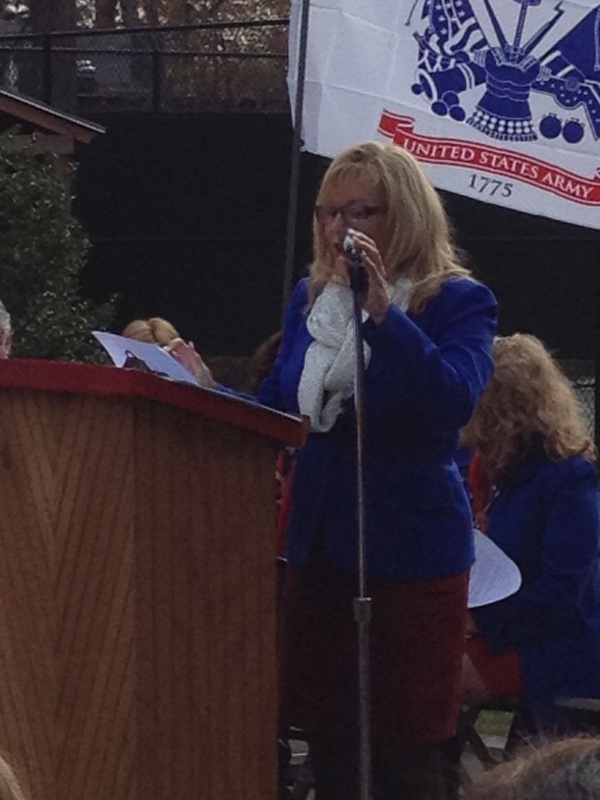 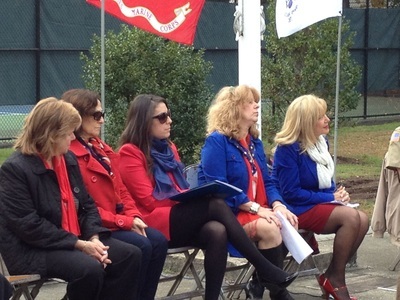 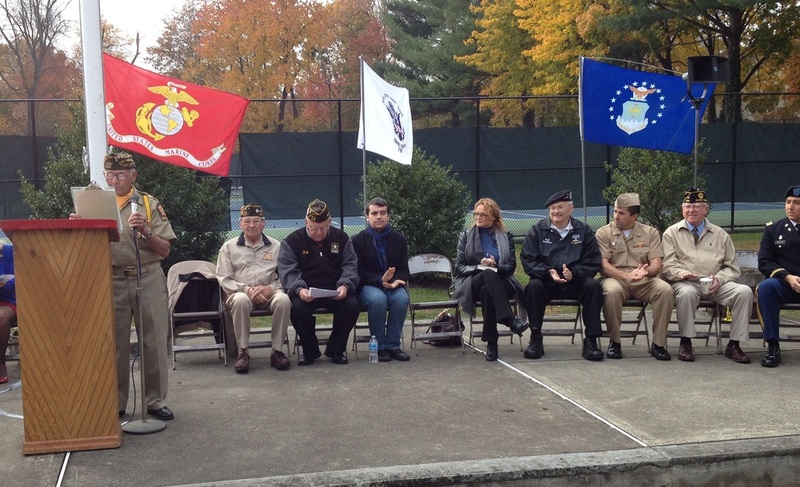 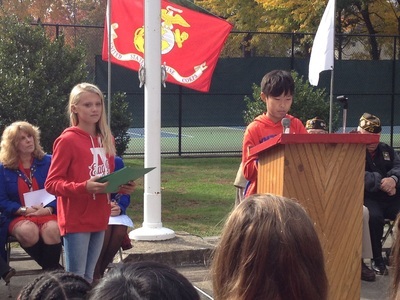 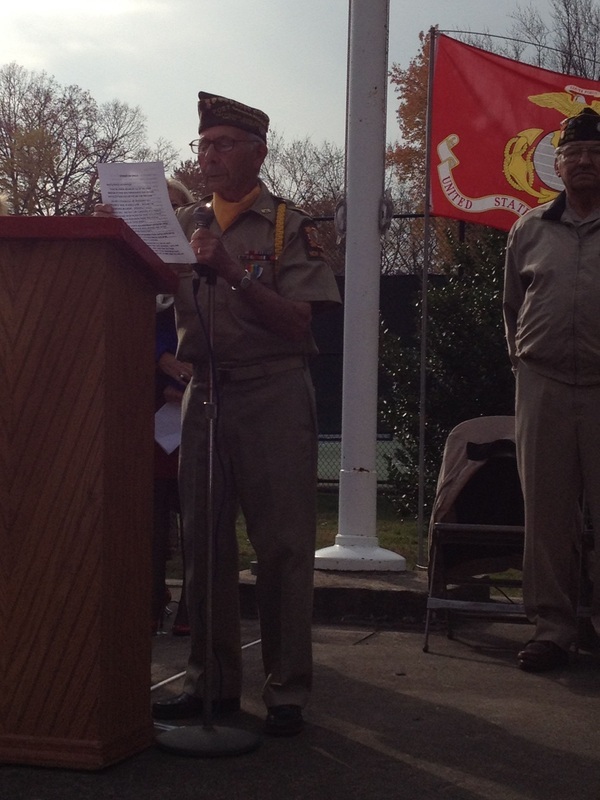 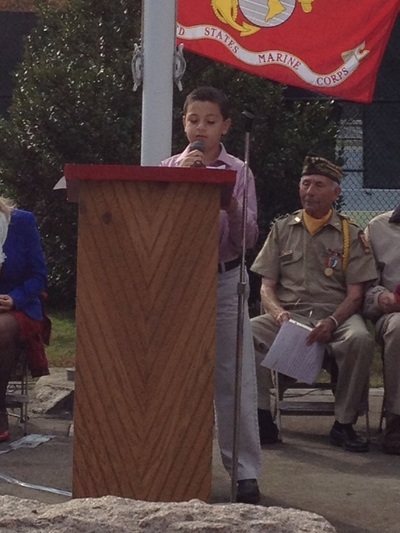 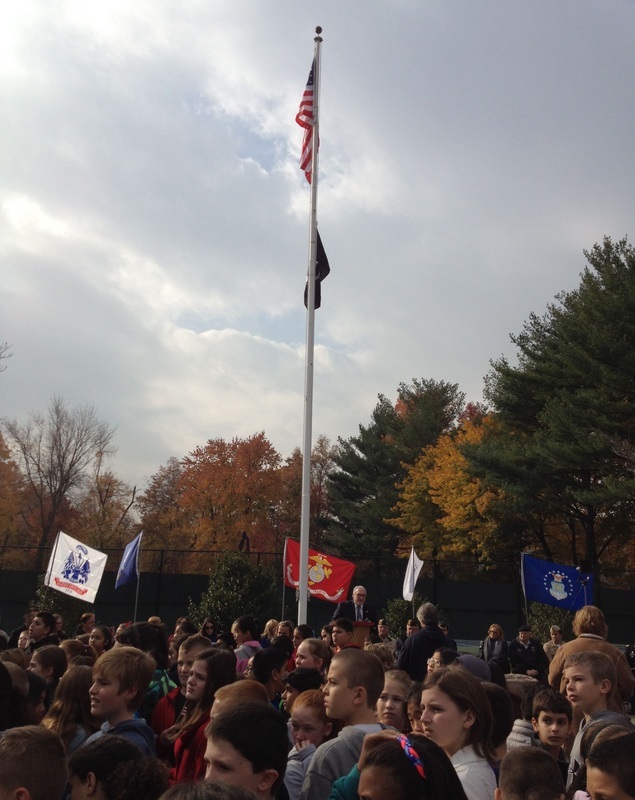 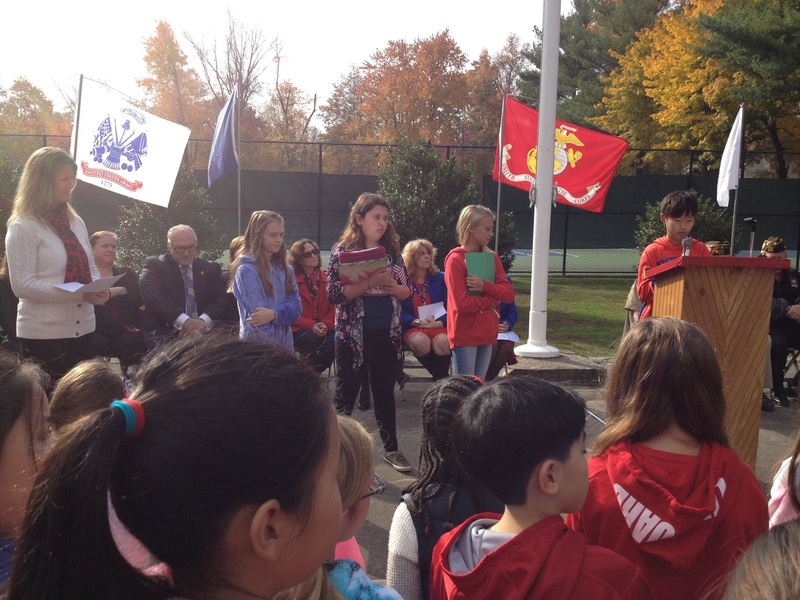 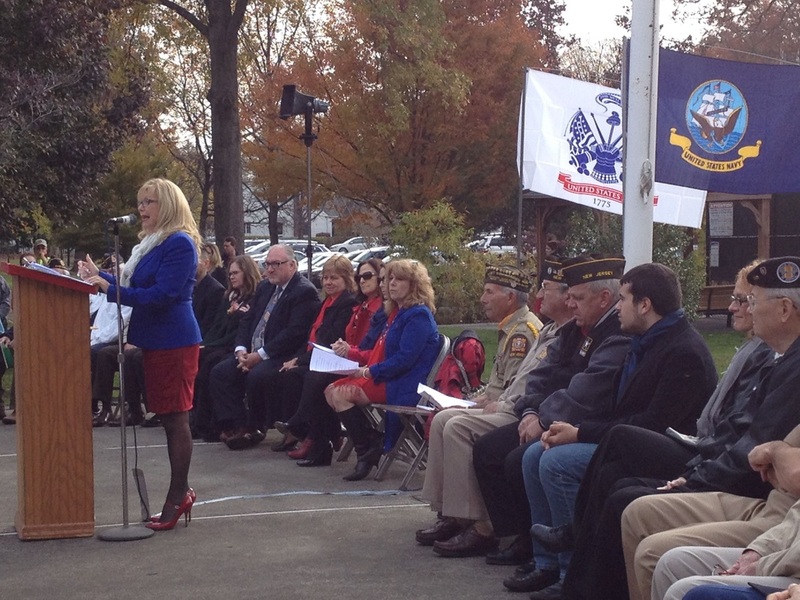 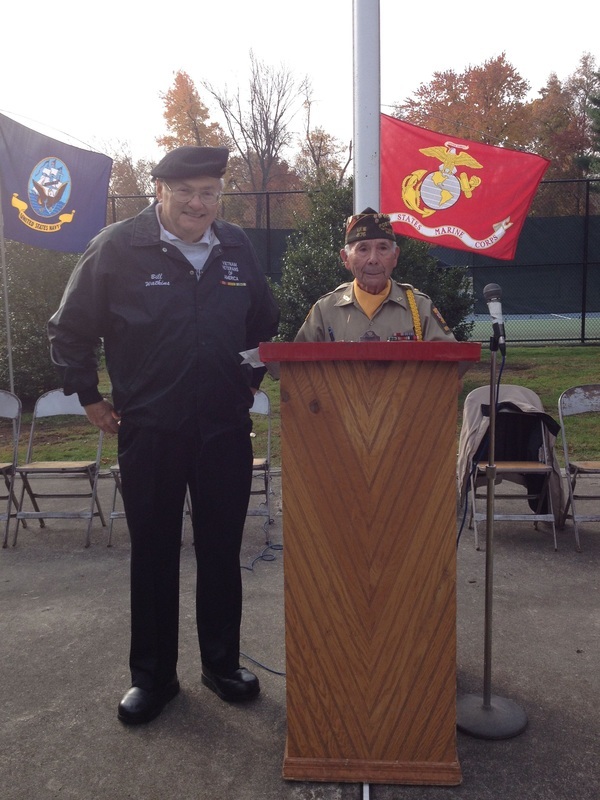 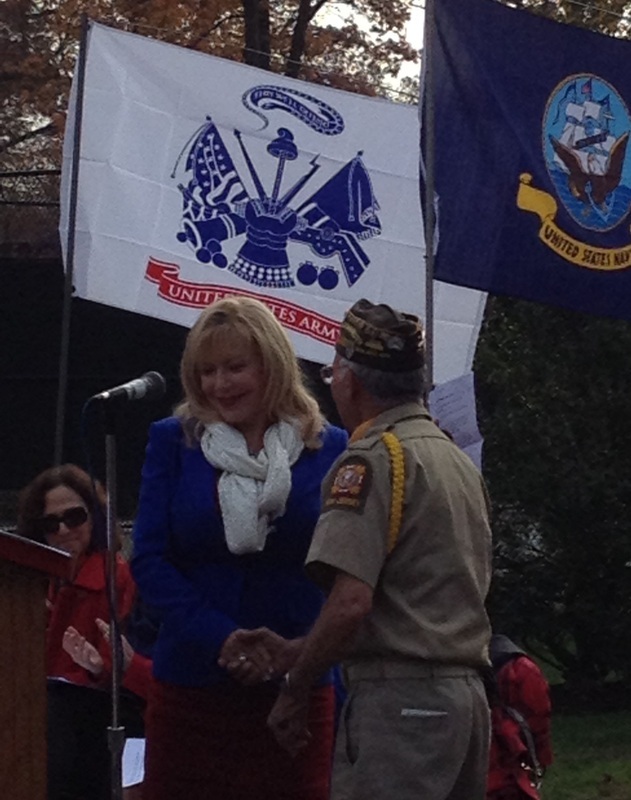 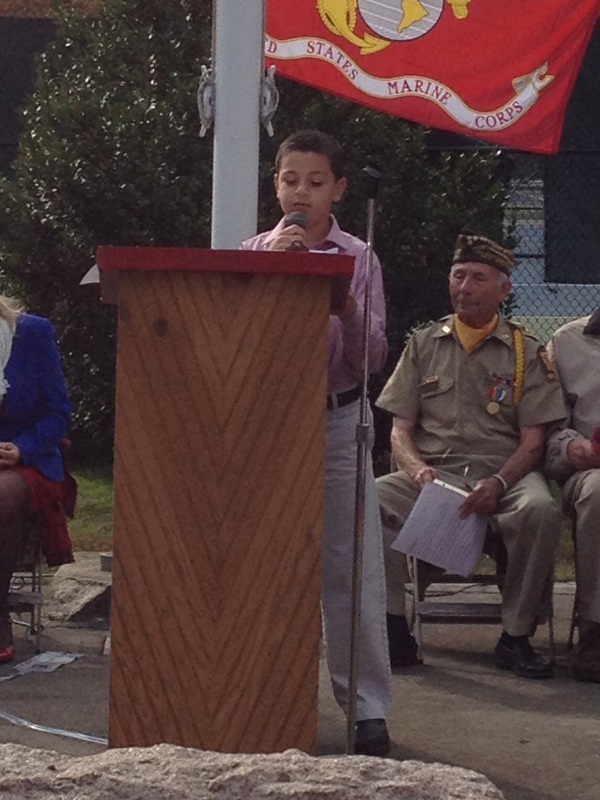 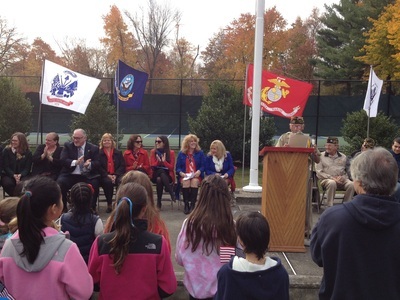 Alex, Roosevelt Student Council President honors veterans. Cherry Hill Student Council address audience. River Edge Schools administrators enjoy the event! Mayor Moscarotilo talks as Veterans look on. 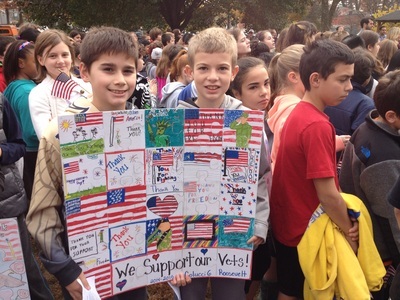 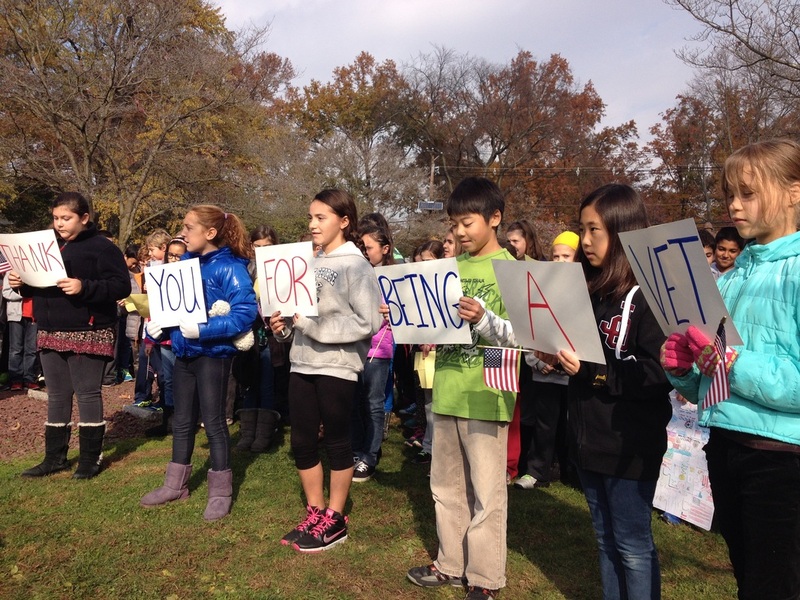 Roosevelt's Fifth Graders thanking the Vets. 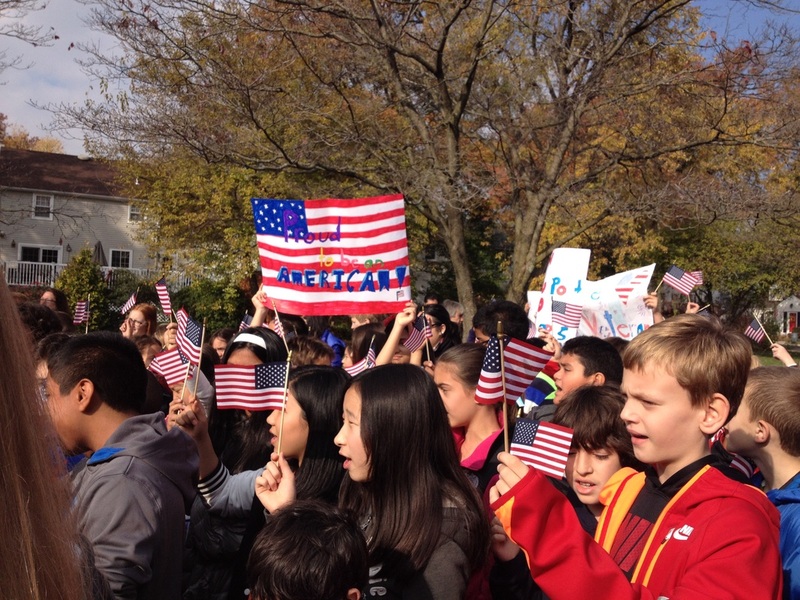 Gifts from Roosevelt's Fifth and Sixth Graders.